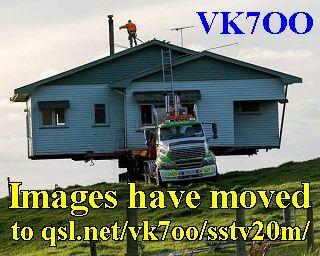 SSTV Disclaimer: If a ham decides to send an inappropriate image, I may not be able to stop the image from being posted. Most hams are far too responsible, so the risk is very low.. The responsibility rests entirely at the station which transmits such pictures. The time stamp on each image is UTC time & is the time the image began being received (typically 2 minutes before it is posted to the web).